Charlie Benante – Legendary Drummer Of Anthrax: Check Out His New Website! 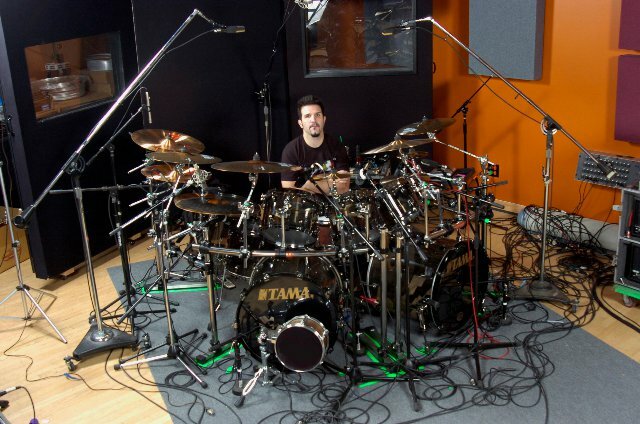 CHARLIE BENANTE – Hey all you Anthrax fans. Charlie Benante wants you to check out his new website http://www.charliebenante.com/Home/. Also, check out his facebook fan page https://www.facebook.com/CharlieBenanteFanPage. 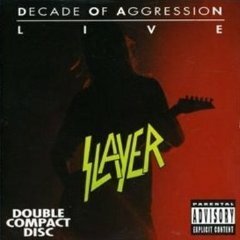 SLAYER – 1991 “DECADE OF AGGRESSION”, MY DOUBLE CD IS THE METAL SLIPCASE VERSION! Decade Of Aggression is a double CD, (double cassette or vinyl album too, if you want to get picky). 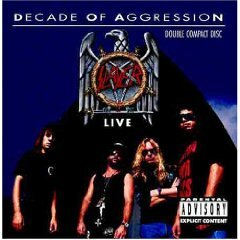 The original release date for Decade Of Aggression was October 22, 1991, on Def American Recordings. 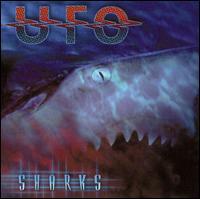 Back around 1992, I was fortunate enough to discover this double CD in a very thick, black metal slipcase. (No kidding, it is real metal!). This metal slipcase encases both CD’s and the 24 page liner notes booklet. Man, is this metal slipcase heavy stuff… I have not actually weighed it, still, it feels like I am holding at least 5 or 6 pounds of metal! Sometime back in ’92, I saw this unique Slayer Decade Of Aggression package, behind the front counter at a Record Town store… in very expensive Connecticut. My eyes never lost sight of this Slayer prize that day, I made a Metal beeline to the cashier and stated I was buying this Slayer gem. I cannot recall for certain, the actual price I paid for this metal packaged version of Decade Of Aggression… it was in the neighborhood of around $50 U.S. and worth every cent. 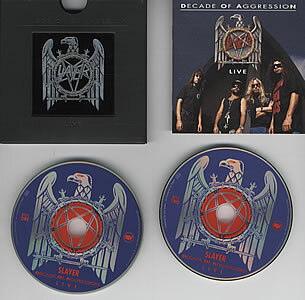 This limited edition package of Slayer Decade Of Aggression had a run of only 10,000 copies. My copy of Decade Of Aggression came with a certificate of authenticity, gold foil embossed, stating it is numbered: 005815 of 10,000. * Note: Skeletons Of Society and At Dawn They Sleep are two songs found only on this metal slipcase version of Decade Of Aggression. Unlike most other live recordings, this is Slayer completely “live”. No overdubbing exists on this recording. HAPPY METAL BIRTHDAY TO AYNSLEY DUNBAR! Metal Odyssey wants to give out a LOUD Happy Metal Birthday to legendary Rock drummer – Aynsley Dunbar! 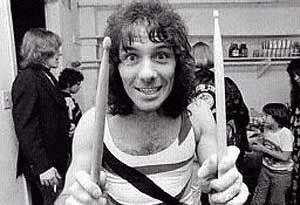 Aynsley Dunbar turns a solid and cool 64 years of age on January 10th, (born January 10, 1946). 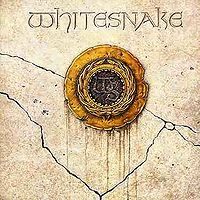 Aynsley Dunbar’s association to Heavy Metal is with Whitesnake, UFO and Sammy Hagar, (to name a few), being the drummer on one or some of their respective albums. Being the drummer for Frank Zappa in the early 1970’s is a music milestone in itself. 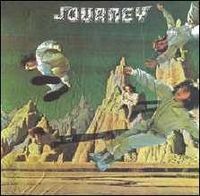 Aynsley was also a member of Journey, being the drummer for their first four studio albums, released from 1975 to 1978. Let’s be real however, Aynsley Dunbar is a fabulous Rock drummer… period. Regardless of Rock genres Aynsley Dunbar has played, at the end of the Metal day it’s all about talent and musical integrity… and he has proved it for decades. 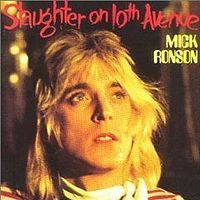 A complete list of Rock musicians and bands, that Aynsley has performed with over the decades, would be a who’s who in Rock History for certain. 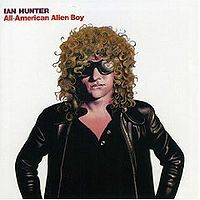 In celebration of Aynsley Dunbar’s birthday and legendary Rock career, I have compiled a very abbreviated list, (in no particular order), of just some of the great Rock, Hard Rock and Heavy Metal albums that he played drums on and bands he was a member of. By no means is this a definitive list of albums that Aynsley Dunbar has appeared on, just a Rock solid salute to his achievements in Rock History. Thanks for all of the great Rock Music you have created and been a part of Aynsley Dunbar. HAPPY METAL BIRTHDAY MATT SORUM! 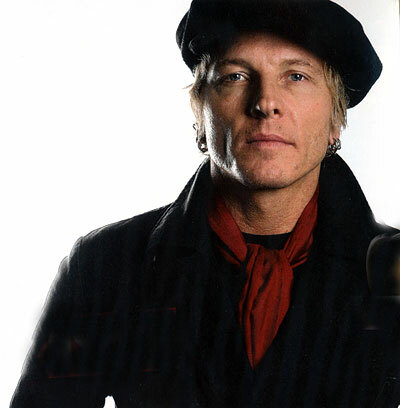 Metal Odyssey hereby bellows, with Heavy Metal enthusiasm, a Happy Metal Birthday to Matt Sorum! 49 years on planet Earth has Matt Sorum been, arriving on November 19, 1960. Matt Sorum is the drummer for Velvet Revolver and former drummer for Guns N’ Roses and The Cult. (These are the most famous bands that Matt Sorum has been drummer for). A Heavy Metal milestone for Matt Sorum happened this Fall of 2009, where he filled in as the drummer for the ultra legendary Motorhead. (Mikkey Dee of Motorhead took a leave of absence to be on a reality television show, some sort of survivor type show). Man, if there ever was a sharp dressed man, Matt Sorum has the knack for looking sharp. ZZ Top must have wrote Sharp Dressed Man with Matt Sorum in mind. Matt Sorum has his own clothing line too, if I had the extra loot I would be buying his stuff and strutting the look. Oh well, I guess the $12 jeans from Walmart will suffice me for now. Matt Sorum teamed up with renowned fashion designer Max Noce and launched the Sorum Noce Clothing Line this past March of 2009. 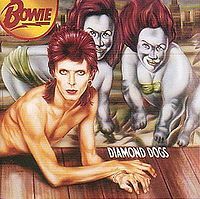 As for Matt Sorum on drums, what can I say? This guy is real good. C’mon, the three bands he has been drummer for are no slouches within the world of Heavy Metal. To have been the drummer for those three bands of their status, man, that basically says it all. Plus, once Velvet Revolver makes a return, (with a new lead singer of course), Matt Sorum will be manning the skins and continuing his Hard Rock/Heavy Metal legacy. As I read a quote from Lemmy Kilmister, (vocalist & bass guitarist of Motorhead), recently, he referred to Matt Sorum as a professional. ‘Nuff said. Masterplan released the MK ll album back on February 23, 2007. I have never regretted with catching onto Masterplan. Half the fun of being into Heavy Metal, is knowing there are so many bands from so many genres to sink your ears into… ah, the world of Metal is a good thing. For those not familiar, Masterplan is a Power Metal Band, 100% through and through with no gimmicks. Melodic Metal and Symphonic Metal are two other labels that are just as fitting for Masterplan, the three genres I attribute to this band are adequately interlocking. Masterplan is led by former Helloween guitarist, Roland Grapow, he takes on the roles of guitarist, composer and producer. 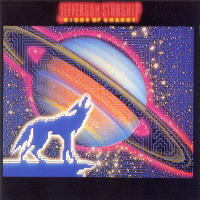 I gravitate very often to the Power Metal genre, finding this form of Metal Music to be inspiring and ultra credible. I find the Power Metal songs from Masterplan MK ll to be like a Metal soundtrack for my mind… uplifting and scenic thoughts appear for me, reflective thoughts too. Getting revved up is not difficult while listening to Masterplan either, there are plenty of psyche out moments in their songs. Masterplan goes full throttle with their Power Metal, there never seems to be a dull moment, for me. MK ll has been a CD of choice for me, going back to last weekend. Every so often, I need to expand my Metal horizons and listen to another genre that isn’t extremely fast, hard and heavy. Masterplan are a heavy band in their own Melodic Power Metal right, only it is the symphonic side of this band that really keeps me grounded… and I like that. Diversity in the Heavy Metal universe is what makes this music so worthwhile. The longer I stop to look, listen and read, the better acquainted I get with the vastness of the Heavy Metal family tree. Discovering Masterplan on the Heavy Metal family tree is like finding and picking that almost perfect pear, you just know it’s good and juicy. 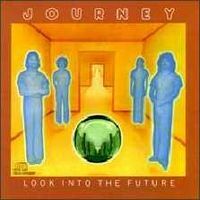 As for the songs on MK ll, there are no loafers to be found. This album has a cool, consistent flow about it, making MK ll one of those albums I can listen to from start to finish, no leap frogging is necessary! My two favorite songs on MK ll are: I’m Gonna Win and Watching The World. These two songs are #6 and #7, respectively on the track list. Both of these songs project this majestic high that just wraps around my senses and psyches me out. Mike DiMeo is everything you could expect from a Power Metal vocalist, he surely can hit the high notes and harmonizes effortlessly throughout MK ll. 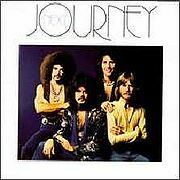 Mike Terrana on drums is darn great to listen to, there are moments when his playing is the focal point. Jan S. Eckert keeps the rhythm solid with Terrana, a very tight unit. The keyboards are a major musical ingredient with this Power Metal outfit, Axel Mackenrott makes his presence known by providing the atmospheric and symphonic environment within the songs. I look forward to a brand new Masterplan album in 2010, Roland Grapow has some Power Metal momentum going for him, with Masterplan. The momentum of Masterplan will be getting even stronger, now that news has been broken, of Jorn Lande returning as lead vocalist. (You can read the official news of Jorn Lande returning by going on the official Masterplan website at http://www.master-plan.net). I will always appreciate the vocals that Mike DiMeo brought to Masterplan, honestly, he is very good, in my Metal opinion. Jorn Lande is a premier Heavy Metal vocalist period. Jorn’s solo career and vocal contribution to Avantasia, coupled with his past Masterplan albums is proof positive he is at the top of the Power Metal pyramid. Welcome back to Masterplan Jorn! Badlands was a Heavy Metal band that I caught onto the instant they released their debut/self titled album – Badlands, (on Atlantic Records), back in 1989. I purchased this Badlands cassette at Strawberries Records & Tapes, located right around the corner from Central Connecticut State University on New Britain Avenue. I was a student at CCSU back in 1989, very much broke to the Metal wind. Therefore, my Heavy Music purchases were not abundant, I chose quality over quantity. With so little funds to buy music as a college student back then, being choosy was a necessity. Badlands with their classic and ultra talented lineup of musicians became a necessity for me. From the very first listen through of this album, (in my case cassette), to say that Badlands left an earthshaking mark on me is the understatement of the decade. The Heavy Metal onslaught of cool and psyched out vibrations, that this Badlands album gave me back in 1989, has once again reintroduced me to that same experience this past weekend. My best buddy – a.k.a. – best Metal buddy – a.k.a. – Scott, well, he remembered just how much Badlands and their debut album resonated with me back in the day, therefore Scott landed me a CD copy of Badlands. 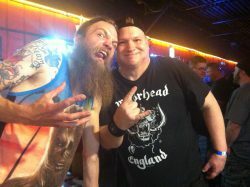 Scott was my roommate at CCSU, my best man at my wedding and if anyone knows my Metal tastes and background… it is him. Thank you Scott, for this Metal gift of Badlands this past Saturday. Getting Badlands on CD in the mail was like experiencing Christmas Day on this cold, dank and rainy day in October. F’n unbelievable surprise. It is an unreal great feeling to have this Badlands CD finally in my collection. I have never let go of my Badlands cassette since 1989… and I never will. To the best of my Metal research, this Badlands CD is extremely hard to find at retail. Out of print perhaps? Badlands is definitely one of my favorite Heavy Metal albums that I have ever listened to. I only wish this band was able to stay together forever, yet lead vocalist Ray Gillen was called to heaven a little early, on December 1, 1993 at the age of 34. The unreal great guitarist – Jake E. Lee and Ray Gillan on vocals may be the two main musical focal points of Badlands, yet Eric Singer on drums and Greg Chaisson on bass make for an ear bending and jaw dropping rhythm section – stuff of legend. 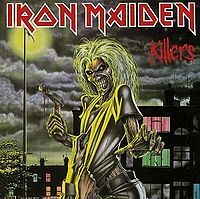 Anyone that knows and enjoys Old School Heavy Metal can certainly identify with Badlands, this band is from that mold. Jake E. Lee proved with Badlands that there was definitely a Heavy Metal life for him away from Ozzy Osbourne. 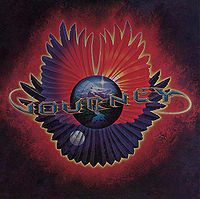 The eleven songs on Badlands encompass the melodic driven side of Heavy Metal enormously, with the late Ray Gillen’s unique vocals surpassing many of his peers of that time, when it came to harmony and range. 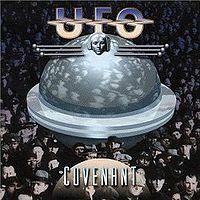 I include the late Ray Gillen in with Tony Martin, Jeff Scott Soto, Gary Barden, Jorn Lande and Joe Lynn Turner when it comes to lead vocals status in Old School Heavy Metal. He belongs with this select group of singers. (I definitely left out some names here, yet I think my point is made). If not for his passing away at age 34, I am convinced Ray Gillen would have been a top tier Heavy Metal and/or Hard Rock vocalist to this very day. With so many new vocalists coming out of the woodwork in all of the Metal genres since the 1990’s, too many of them sound like each other or have little regard for originality. This is why I can never tire from the late Ray Gillen’s vocal talent. My favorite song on Badlands is Dreams In The Dark, I played it six times over, very loud the other night and it served me right. Yes, I acted very silly jumping around in my basement like a psyched out kid, while this song and the rest of Badlands cranked. As the ultra great Blackie Lawless would say… I don’t need no doctor. 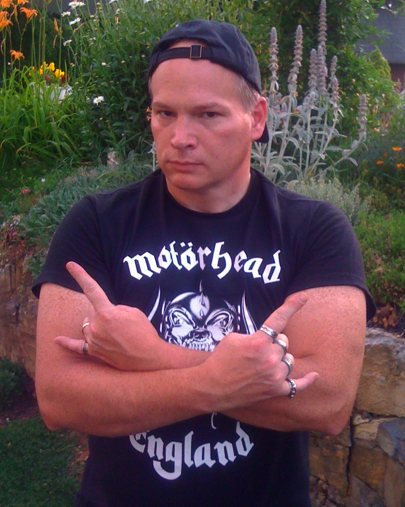 All I need is to delve back into the Metal world of Old School Heavy Metal, (on a very consistent basis), turn on some Badlands and let the bull crap of the world around me, wallow in it’s own decrepit stank. I don’t look back upon Badlands as a supergroup, instead I look upon them as a fabulously talented Heavy Metal band that was too short lived. Long live the legacy of Badlands – their Heavy Metal still reigns supreme for me.